The increasing innovations in the creation of synthetic herbicides, pesticides and insecticides have made people realize just how unhealthy these products are for humans, animals and the environment. Spraying chemicals to get rid of weeds and pests won’t just cause health risks; they are also ineffective most of the time. At first, they’ll kill lots of pests, but these pests will eventually develop a resistance to the pesticide and come back stronger. Gardening experts recommend using non-toxic pest control measures by starting with sourcing healthy soil, matching the right plants to the soil, ensuring proper watering conditions and sunlight levels, using organic fertilizers, and regular pruning. If these efforts don’t work, there are other alternatives to chemical pesticides that can help eliminate pest whilst keeping the surroundings healthy and safe for your family, pets, and plants. Repellents and barriers will help keep bugs out of your home and garden. They act like a wall to prevent crawling insects from having access to your plants and home. 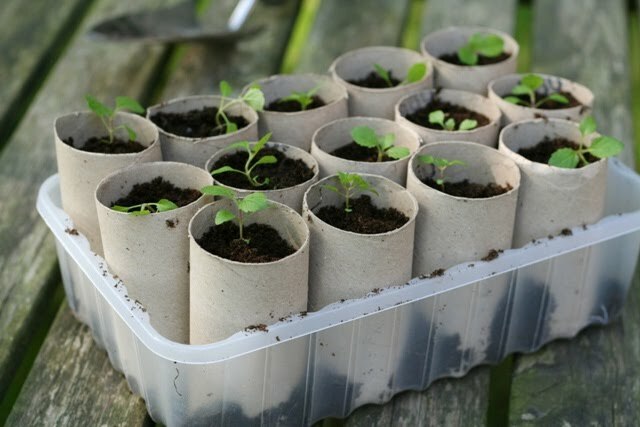 For instance, if you plant carrots in toilet paper rolls, cutworms won’t get into them. Plants will also provide a living barrier to insects. Spearmint, peppermint and pennyroyal will deter aphids and ants naturally. Thus, consider planting them throughout your garden to keep these pests at bay. Using aromatic pest deterrents is also a good choice. Planting aromatic plants like savory, garlic, and lavender around your plants can hide their scents from pests. Traps make use of pheromones, visual lures, or food to attract pests and capture them, without hurting other animals or the environment. Traps can also be used to control or monitor a population. When monitoring a pest population, insect traps will help identify how many insects there are, when they emerge, and other pertinent information that will help you decide what to do about this kind of pest. 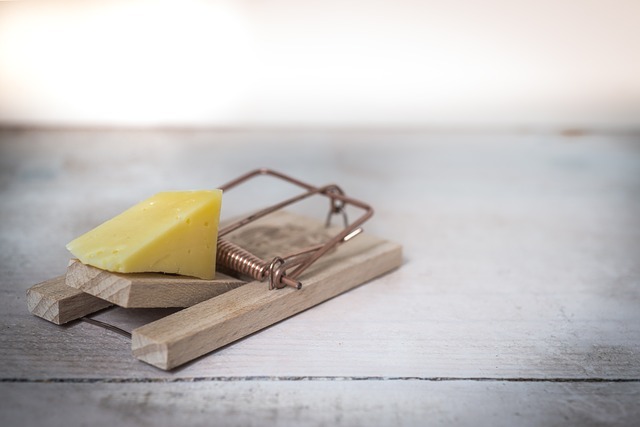 When controlling the population, traps are used to capture rodents or insects, and often kill them. There are instances wherein traps alone could deal with your pest problems. But often, they are best used in conjunction with other pest control solutions. For instance, fly traps can only attract and trap adult flies, so another method should be used to attract immature fly pupae. Insecticidal oils and soaps are effective for sucking, soft-bodied insects like spider mites, aphids, mealy bugs and whitefly. Though they are less effective against adult insects, they can still be used to control their immature larval stages. So an important factor when applying these natural insect killers is proper timing. The fatty acids in an insecticidal soap will penetrate the outer covering of the insect, causing the cells to collapse. This should be applied directly to the insect. Remember that it is not effective once it dries. 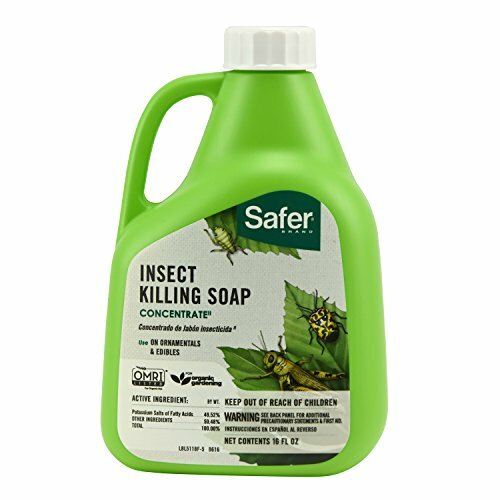 Insecticidal soaps are the least toxic type of pesticide and won’t harm beneficial insects like ladybugs and praying mantises. Beneficial insects will prey on pests you don’t want living in your home and garden. These good insects can be attracted to your garden if you provide them with water, food and shelter. You need to give them a healthy habitat so they can survive. There are several reasons to let beneficial bugs into your garden. They are deemed safer and more effective than harmful chemicals in the long run. 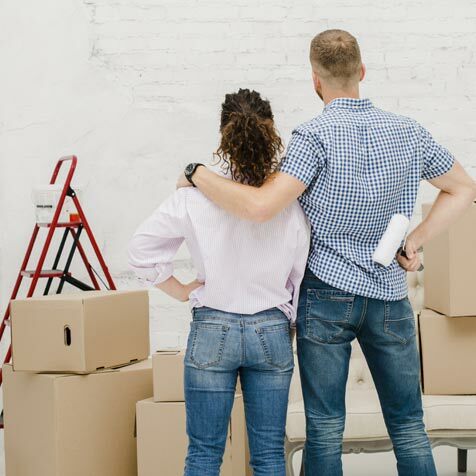 However, you still need to do a bit of research or ask pest control experts to identify what your pest problem is and which good insects to enlist to help. There are several pest control products in your home that you can use to get rid of pests. Choosing an organic way of eliminating roaches, mice, fleas, and other little creatures will keep your family and pets safe and healthy. Boric Acid Powder: can be used to control termites, ants, cockroaches and other household pests. It acts as a stomach poison. When these bugs walk through it, the boric acid will stick to their legs, so they carry it back to their colony. As the insects groom each other, the powder will be ingested. Boric acid is less toxic to human beings and pets as compared to table salt. Cucumbers: While you are making your fresh vegetable salad, throw some cucumber slices out the windows. Ants hate the taste of cucumbers. By leaving slices of cucumber, you may no longer see as many ants roaming around your property anymore. Cedar: has long been used to get rid of bugs in the home. Place some cedar blocks around your house to get rid of moths and other bugs. Cedar gives off a fresh, woody scent that prevents moths from damaging your clothing and other linens. Diatomaceous Earth: Diatomaceous earth is an odorless and non-toxic white powder made of shells of microscopic sea creatures known as diatoms. Sprinkle it in areas where bugs crawl. When this powder works its magic, the bugs will soon dissapear. Citrus Peels: Keep spiders out of your home by using citrus. Spiders hate citrus so the best way of keeping them out of your house is to leave citrus fruits around your kitchen. Also, you can rub citrus peels in the areas that spiders frequent, such as windowsills, doorways and cabinets. Did you know: Diatomaceous Earth kills spiders? One of the best ways to keep pests out of your home is to keep it clean and free of dust and food particles. This way, pests won’t feel welcome. Moreover, keep plants pruned and watch your lawn and garden. Make sure your yard is free of debris and always well-trimmed. 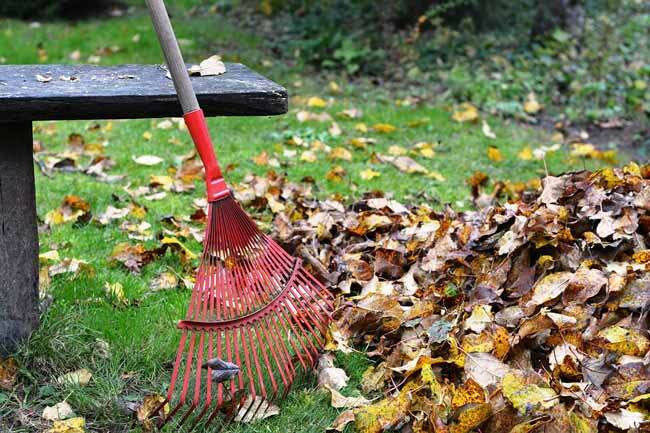 Rake up dead leaves. Pests are a fact of life, but there are natural ways to keep them at bay. 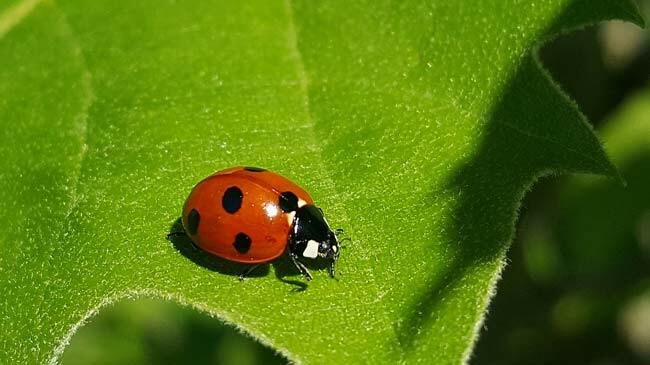 Follow these effective organic ways to control pests in your home and garden; not only are these easy to set up, but they are also better for your health and the environment. I have a pesky worm, either tin or cut worm attacking my Radish. My garden is planted and I am concerned about the rest. In the order planted by the Radish. I have Rainbow Lettuce and Swiss Chard , then my Garlic, onion, Beets, then Carrots . How do I protect these. This is all in a raised garden bed, which I did have covered with light white Remay. My lettuce was already being attacked by slugs. I have put coffee grounds and crushed eggs shells around the lettuce and Swiss chard so far and brought up most of one side of my radishes . Where in that spot I have cut potato , put them or skewers to attract the buggers . Circle plants with Diatomaceous Earth – we have a guide on this awesome product here.